There are quite a lot English series dominating our TV serials list this year or becoming our most-wanted series to watch, such as Game of Thrones Season 6, Walking Dead Season 6, etc. But don't forget there are also dozens of Hindi Serials in 2016 2018 await us to touch. Some people say that compare to English series, Hindi serials are television serials are nothing, but they don't know that besides 24 and Yudha of Amitabh Bacchan these classic perfect Hindi serials, some latest Hindi serials are indeed worth your following. There are many online movie sites offering the access to watch free Hindi serials online but a powerful Hindi Serials downloader can only you truly enjoy free Hindi drama serials without ads. 5KPlayer lets you download Hindi serials, Hindi TV shows free from 300+ online Hindi serials sites and you can watch the latest Hindi serials of 2016 2018 on the go, no matter with or without Wi-Fi connected. As the Bollywood movies, Hindi movies started to make a figure in international AV industry and got quite millions of Bollywood fans all over the world, Hindi serials is unwilling to lag behind. Actually Indian TV serials are earning much higher than Bollywood movies, which causes that more investment are put in Hindi serials. In the year of 2016 2018, what Hindi serials are best made and which Hindi Serials are the most popular one? Here in the top 10 Hindi serials list will give you the answer. Take a look at the Hindi serials list and the review of each Hindi serials and then choose the best Hindi serials to download and watch! Plot Summary: Kuch Rang Pyar Ke Aise Bhi is a mature love story of a successful business tycoon and a nutritionist. Dev Dixit, a successful business tycoon is in love with Sonakshi Bose, a nutritionist but the couple take a practical decision of parting ways due to Dev's mother being unhappy with the relation. 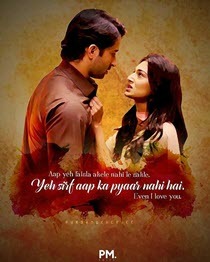 The entire story is the journey of Dev and Sonakshi understanding their love and Dev's mother accepting it. Stars: Sriti Jha as Pragya, Shabbir Ahluwalia, Mrunal Thakur, Arjit Taneja etc. Plot Summary: This Hindi TV Show followed lives of the two sisters, their hopes, dreams and aspirations. Plot Summary : Two half sisters are caught in a web of love,deceit and revenge. The girls are totally unaware of the truth that their elders are hiding from both of them. Witnessing the animosity of their family, the two decides to dig up the truth and find out the reason behind their rift. Swara and Ragini finally manage to know the cause of the 20 years old rift between their families that their parents used to love each other when they were younger. Swara also comes to know that not just her mom loved Ragini’s father however he is even her real father. Storyline: The story of this Hindi serials is partially based on Manju Kapur's novel Custody. Set in Delhi, the show follows the love story of Ishita, who is a Tamil and Raman, who is a Punjabi. Ishita is sterile and gets attached emotionally to Raman's daughter, Ruhi, who lives with her divorced father. Raman's ex-wife, Shagun, lives with her boyfriend Ashok and Aditya, her son with Raman. Due to circumstances, Raman and Ishita marry each other. 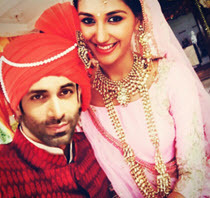 Storyline: The story of this Hindi serials is the journey of a modern young woman who has to find a way to her dreams and who unexpectedly finds a constant companion in the person she least expected it from — her traditional husband and his family. Diya Aur Baati Hum is another best Hindi television soap opera on the Star Plus channel. The makers of the show have decided to end the show with the final episode being aired 11 September 2016. Stars: Sana Amin Sheikh, Shravan Reddy, etc. Storyline: This Hindi serials is a love story caught in the backdrop of hatred and conflict due to Aradhya's lineage of a Devdasi family and her connection with Aryan's family that has his major anger against Aradhya's family due to some hidden past. Set in the small hamlet of Krishnavati, where Devdasi custom prevails amid poverty in the village. Best free Hindi serials downloader - batch download Hindi serials full episodes on YouTube, Facebook, Dailymotion and 300 more other Hindi serials websites, and even download top hindi soundtrack from YouTube to MP3 AAC. download Hindi Serials on your computer and use it as a Hindi video player to directly watch everything on the go right now! Stars: Ravi Dubey, Shivam Sood, Achint Kaur. Storyline: A rich man pretends to be middle class for his love in this Hindi serials. Storyline: Traces the story of ramayan character Sita from a very different perspective. For the first time the story is made in Hindi serials. Storyline: The plot of the Hindi series is about friendship and a love relationship. Storyline: The story in this Hindi serial is about three brothers - Shivaay, Omkara and Rudra -- who share an unbreakable bond despite their dysfunctional family. How to Free Download Top 10 Hindi Serials 2016-2018? 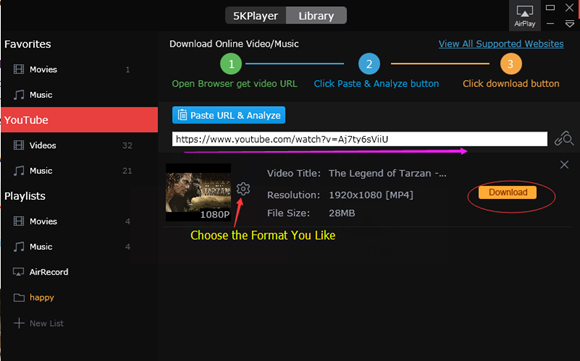 Step 1: Download 5KPlayer on your Mac or PC and launch it. 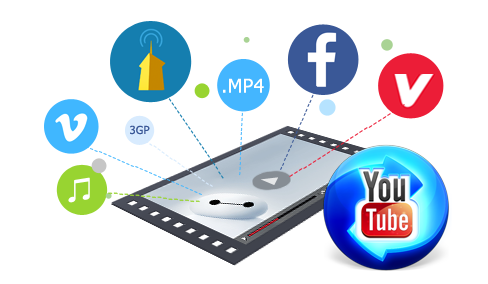 Click YouTube button to open Hindi Serials free download page. Step 2: Go to YouTube to find and copy the URL of the best Hindi serials full episodes. Step 3: Go back to the best free Hindi serials downloader, press "Paste URL & Analyze" to analyze the Hindi serials. Step 4: Click "Download" to start downloading the top Hindi serials HD in bulk. Step 5: If you prefer to watch Hindi serials on tablets or iPhone/Android, feel free to transfer Hindi serials from computer to iPad/iPhone/Android with WinX MediaTrans. 50 Shades Darker full movie trailer download watch HD 1080p 720p MP4 3GP etc and Fifty Shades Darker MP3 songs download.